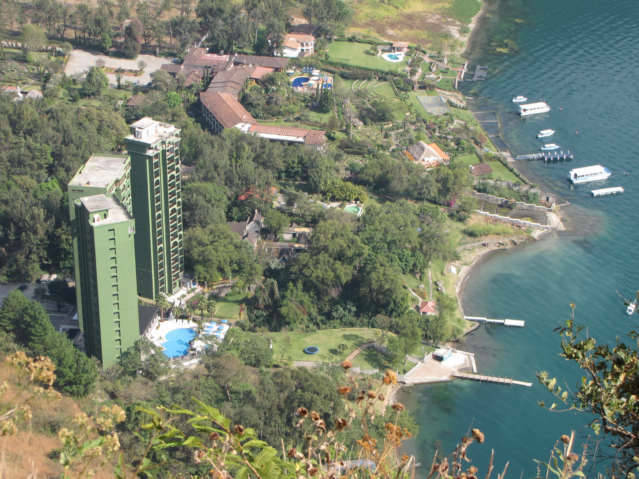 I am Nominating this Hotel in Panajachel, Guatemala for the ugliest high-rise Hotel on the planet. This hotel is only saved by the sheer splendor of the Lake Atitlan and surrounding mountains, anywhere else on the planet and it would be obvious. There are many worn and torn high-rise Hotels on the planet, this one is just inherently ugly. This thought has been bouncing around on my mind for the last week, I normally only think of what is the most beautiful, however the thought finally surfaced. This high-rise Hotel is my nomination for the ugliest Hotel on the planet.